Kevin Schulte is an editor for Techerator. He recently graduated from the University of North Dakota with a Bachelor of Science degree in Computer Science and Mathematics. Welcome to part 2 of my Introduction to Flight Simulators series! If you followed my advice in Part 1 you now have all of the equipment you need to start flying. All that remains is to find yourself a simulator. The flight simulator market isn’t as saturated with games as, say, the first person shooter market, but you should be able to find something to suit your tastes. In this article I will be focusing on civilian flight simulators. Forget shooting down bandits or strafing ground targets, these simulators are all about finding joy simply in flight. Some of the sims I’ll talk about do include military aircraft, but, other than a few exceptions, you won’t be using their weapons systems. This isn’t meant to be an exhaustive list by any means, just a broad overview of a few of the more popular flight simulators. 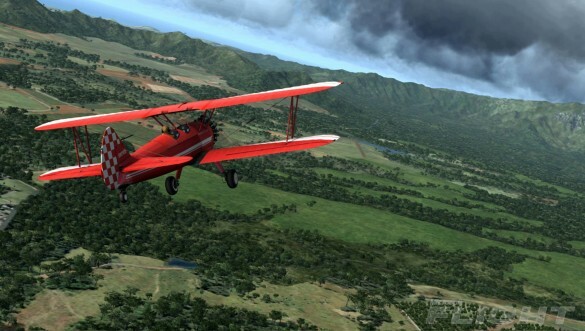 Microsoft’s Flight Simulator series has a history spanning more three decades. Flight Simulator X, released in 2006, is the most recent full sim (more on my choice of words later) in a long line of high quality simulators, and probably the most popular simulator on this list. 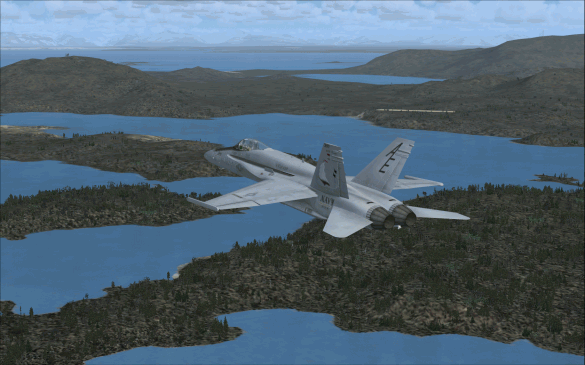 Flight Simulator X makes an excellent choice for a first sim if you’re new to the genre. It features a wide variety of aircraft (everything from the iconic Piper Cub to the sound barrier-breaking F/A-18 Hornet), an entire world to explore, and an excellent ‘flight school’ of sorts for new fliers. Thanks to an accessible software development kit, FSX has also seen tremendous third-party support since its release. Browse FlightSim.com’s Pilot Shop and you’ll find pretty much any aircraft you could wish for, many of them recreated in extraordinary detail. Even five years after its release FSX can be a bit demanding on the hardware side of things. 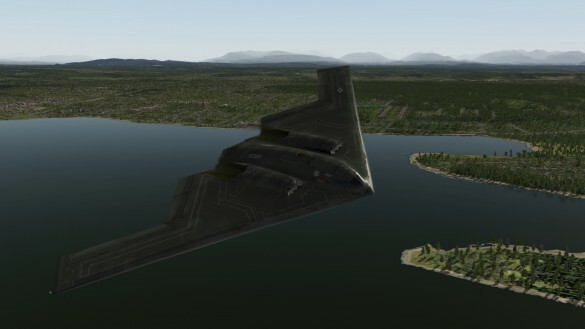 If you find your computer lacking after giving the demo a try, consider going back a generation to Flight Simulator 2004. Not only is it a bit cheaper, it’ll run on nearly any hardware out there today while still providing a high fidelity simulation. Earlier I called Flight Simulator X the most recent full sim in Microsoft’s Flight Simulator series, as Microsoft Flight, while not a complete sim in the traditional sense, is the most recent flight simulator release from Microsoft. Instead of offering a full world sandbox like its predecessors, Flight narrows its scope to a single US state: Hawaii. In another break from tradition, Flight is free to download and play, up to a point. The free version of Flight gives you two planes and the largest island in the Hawaiian chain to fly around in, with additional planes and the rest of Hawaii available as paid downloadable content. Flight makes an acceptable introductory flight sim, especially with its unbeatable price, but only gives a taste of what larger scope simulators can offer. If for some reason you don’t want to get Flight Simulator X, or are looking for something a bit different, the X-Plane series is another high quality simulator to consider. It isn’t as newbie-friendly as Flight Simulator X, but if you don’t mind figuring things out on your own it’s a good simulator in its own right. X-Plane 9 is roughly the equivalent of Flight Simulator X, and a good place to start for new simmers. X-Plane 10 may be new and shiny, but it’s also quite a bit more expensive and not nearly as polished as it could be. The X-Plane series does have a few advantages over Flight Simulator X. X-Plane features a robust plane creator, allowing you to let your brain run wild designing a plane and then see how it flies. 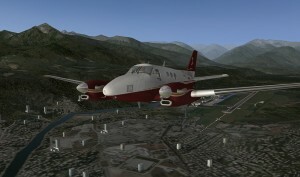 The X-Plane series is also multiplatform, running on Windows, OSX (both PowerPC and Intel), and Linux with a single set of installation discs. If you’re looking for a sim with low entry requirements just to try out, take a look at X-Plane Mobile, available for iOS and Android. It’s relatively inexpensive, and other than owning a compatible device there’s no additional hardware to buy. Both Flight Simulator X and the X-Plane series are able to simulate helicopter flight, but Take On Helicopters is the only helicopter-exclusive sim on this list. 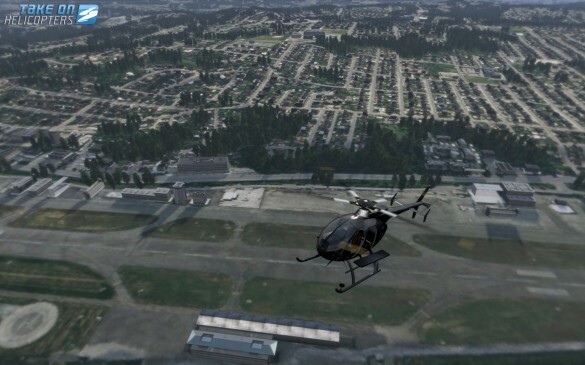 Bohemia Interactive, the development studio behind Take On Helicopters, took the flight model they created for ARMA 2, expanded it, and released it as a brand new game. Unlike many popular flight sims Take On Helicopters doesn’t simulate the entire world. Instead it concentrates on modeling a few smaller areas in higher detail. Also unusual for a civilian flight sim, it has a story-based campaign mode along with the usual free flight modes. Take On Helicopters went through some growing pains immediately after its October release, but now, several patches later, it has matured into an excellent simulation of helicopter flight. 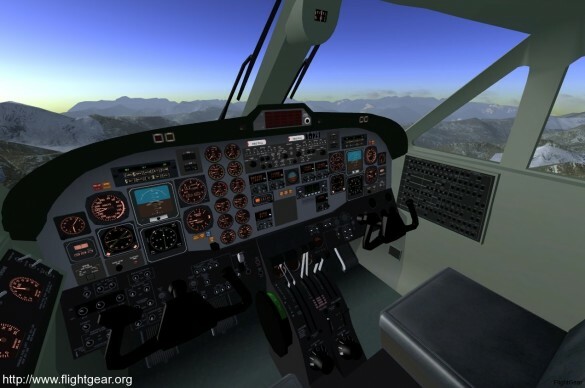 FlightGear is unique among the entries in this list in that it is completely free and open source. As such, it has a few quirks not found in the other sims on this list. Without the financial backing of a major publisher, FlightGear‘s flight model lags behind commercial simulators. It’s acceptable, especially for a free game, but you’ll notice the difference moving from a sim like Flight Simulator X to FlightGear. In addition, FlightGear can be a pain to set up. It didn’t recognize my joystick right of the bat, so I had to spend a half hour just trying to figure out how to configure the controls properly. That said, if you don’t mind putting up with FlightGear‘s deficiencies you’ll find an acceptable simulator that can give you a taste of simulated flight without the need to shell out any cash. That does it for my list of some the most popular civilian flight simulators. In part 3 of my Introduction to Flight Simulators series I’ll delve into the real fun stuff: combat! It feels like every year we see the release of higher quality independently developed games. With digital distribution quickly becoming the norm for PC games, and with digital distribution avenues available for all of the major home consoles, it’s never been easier for developers (often small one- or two-man teams) to ditch demanding publishers and self-publish instead. Along with the ease of self-publishing, however, comes plenty of sub-par games. In order to help you separate the games better left undownloaded from those destined to become classics, I’ve compiled here a list of upcoming games that will almost certainly be worth your time and money. Everyone loves a good heist. Hollywood continues to churn out big budget, well-received films like Reservoir Dogs, Ocean’s Eleven, Heat, and Inception. Unfortunately, the same can’t be said about the gaming industry, which has a severe lack of high quality heist-type games. Andy Schatz of Pocketwatch Games is looking to change that with Monaco. Monaco is a stealth-action coop game that tasks players with infiltrating an area in order to, well, steal things. Before each mission each player chooses a class. The Hacker, for example, is quick at shutting down security systems for other players, while The Muscle is good at hitting things in the face. Success comes from players using their strengths to work together to infiltrate their target, avoid guards, and get out safely. There is no firm release date yet for Monaco, but it has been demoed at gaming conferences like GDC. I haven’t seen any bad press from people who have been able to play it, and it’s personally one of my most anticipated game releases. Sounds pretty ambitious, doesn’t it? In SpyParty‘s main mode two players compete against each other head to head, with one player taking the role of The Spy and the other playing The Sniper. 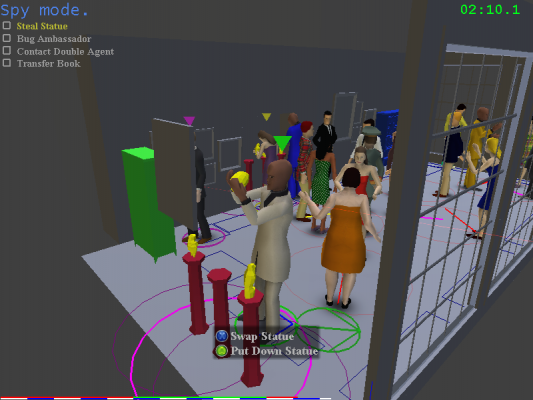 The Spy attempts to complete his mission, which could be anything from bugging an NPC to stealing a statue, while remaining as incognito as possible in a room full of NPCs. The Sniper tries to pick out the sole human controlled player from the crowd and take him out before he can finish his mission. Chris Hecker, the developer, looks to be taking his time with this one and there isn’t a firm release date yet, but so far everything about the game looks incredibly original and fun. The Witness is an upcoming title from Jonathan Blow, developer of the excellent Braid. Unsurprisingly, The Witness looks to share some of Braid’s mysterious intrigue. 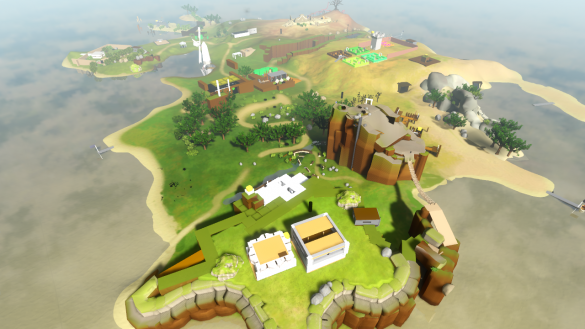 People who have demoed early versions of The Witness describe it as a puzzle/exploration game, but not much more than that is known about the gameplay. Players wander the island shown above, completing various puzzles at their leisure. Most of Braid‘s charm came from exploration and discovery, so it’s not likely we’ll see many more gameplay details before release. Blow is in no hurry to finish The Witness, and the game has a tentative release date of sometime in 2012. 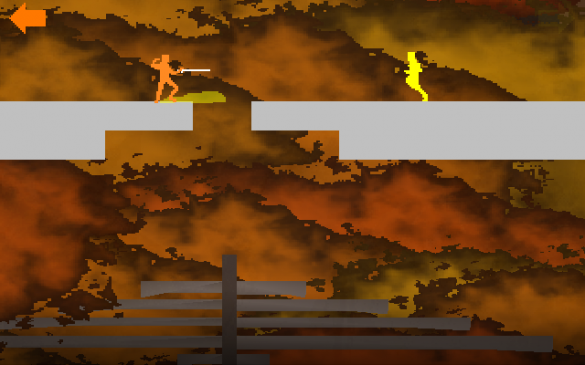 Nidhogg doesn’t look like much at first, but after watching a few videos its appeal starts to show. It’s sword fighting at its most basic, distilled down to only the essentials. Each player’s goal is simple: run to the opposite end of the map. Getting there is the tricky part, as each player is also trying to impede the progress of the other player by stabbing them. The opposing player’s death grants you a bit of time to run unopposed, but the other player respawns after just a few seconds. While Nidhogg looks nearly finished its developer hasn’t hinted at a release date or even any release plans so there’s no telling when (or even if) we’ll be able to get our hands on it. It’s been a while since the gaming industry has seen a decent mech combat game, but Hawken is looking to change that. Hawken features game modes that should be familiar to anyone who has played a multiplayer FPS, but instead of playing as just a squishy human you get to take control of a few dozen tons of solid steel. The gameplay changes a mech provides should make for an interesting experience not found in the multitudes of first person shooters out there. 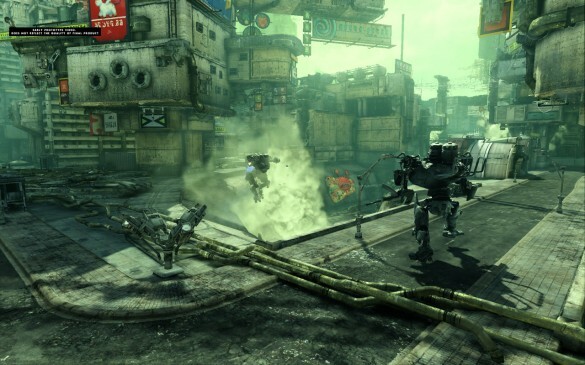 For an indie title Hawken looks fantastic. It’s running on the Unreal Engine so plenty of pretty graphical effects are present in addition to the amazing mech models and landscapes. Hawken is gearing up for closed beta testing now, and official release is scheduled for December 12th of this year. After scrapping (at least temporarily) plans for their game Subversion, development studio Introversion has turned their attention to Prison Architect. As its name might imply, Prison Architect is all about managing the intricacies of a prison. You decide everything from cell layouts to window placement, trying to figure out the optimal setup to contain a certain number of prisoners. Fans of simulation titles like Bullfrog’s Theme Hospital or Maxis’s Sim Tower should find plenty to like about Prison Architect when it releases. 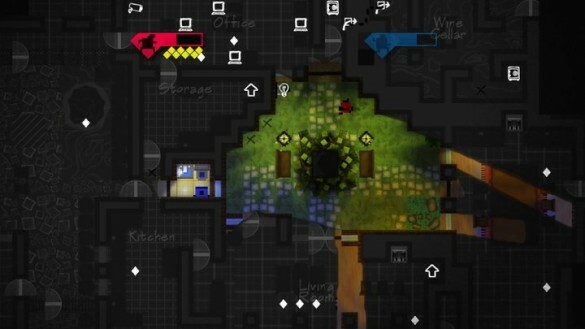 Introversion is planning on releasing a paid alpha version later this year, with the full game potentially releasing in early 2013. Steam, Valve’s powerhouse digital distribution service for PC and Mac, is finally making its way to mobile devices. Don’t get too excited yet, though, they aren’t selling any mobile specific games. 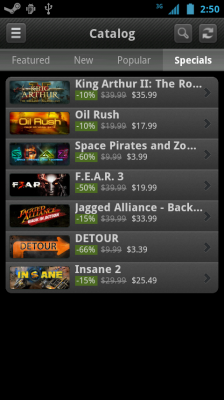 Instead, the Steam mobile app acts as a much-needed mobile portal for the multitude of services Steam offers. Getting logged in is as simple as you’d expect, and Steam mobile even has support for Steam’s relatively recent Steam Guard account protection. 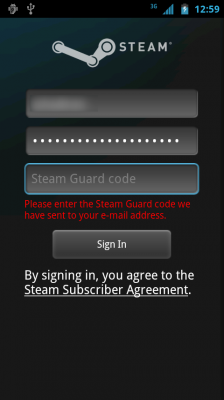 Whenever you try to log into Steam on a new device Valve sends an e-mail containing a one time activation code to the address they have on file. You can’t log in without first entering that code. It adds an appreciated level of security for a service that many users have sunk hundreds (or even thousands) of dollars into. Instead of trying to navigate Steam’s desktop-minded website on your phone you can now access Steam’s most useful features with an interface that has mobile devices in mind. Chat with your friends, check out active deals, or browse Steam’s entire catalog, all from your phone. You can even buy games directly from the app. If you don’t mind the extra icon in the status bar Steam will run in the background, making you available for chat no matter where you are (this service can be disabled in the Settings menu, where you can also set your preferences for receiving chat messages). The Steam mobile app had a short closed beta period, but is now available for everyone who wants it. Get it for free from the official store for your preferred platform. 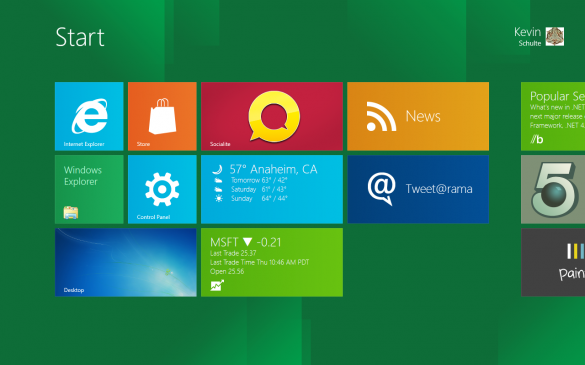 Microsoft is aiming high with Windows 8. Not only will Windows 8 be their next flagship desktop operation system, Microsoft is also looking to make it their first OS that’s actually usable on a tablet (anyone who has used any version of Windows on a tablet up to now will tell you that it makes for a less than stellar experience). I recently had the good fortune to play around with a tablet (specifically the Acer Iconia Tab W500) running the Windows 8 Developer Preview. 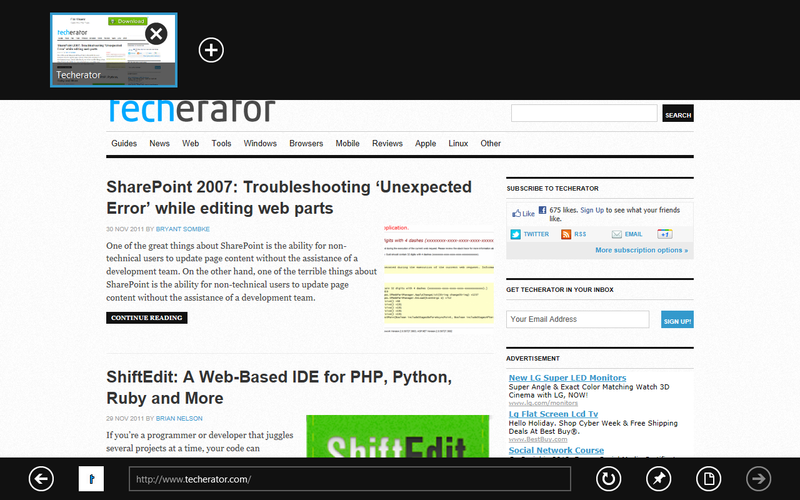 While the developer preview is still a very early build (and it shows), it’s showing a lot of promise. Right away I was impressed with Windows 8’s boot time, Microsoft is finally paying attention to an area it has struggled with in the past. With the help of the W500’s solid state drive I clocked the time from pushing the power button to staring at the log in screen at around five seconds. Compared to the 30+ seconds you’ll see on a Windows 7 desktop with a standard spinning drive that’s quite an improvement, and a necessary one for a portable device like a tablet. 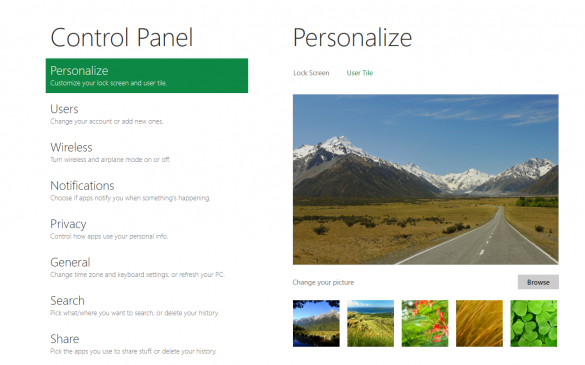 In Windows 8, Microsoft added the option of tying your Windows Live ID to your standard log in. This allows you to sync things like browser bookmarks and passwords across all of your devices and facilitates downloads from the upcoming Windows Store. It’s similar to both Apple’s and Google’s approaches to tying your device to an account with the added bonus of syncing things you’d normally find in a roaming profile on a Windows-based network. Most everyone has a Live ID lying around for something or other, may as well put it to good use! My favorite addition to Windows 8 is the expanded Task Manager. It’s actually useful! All of the stats you could ever want are available at a glance. 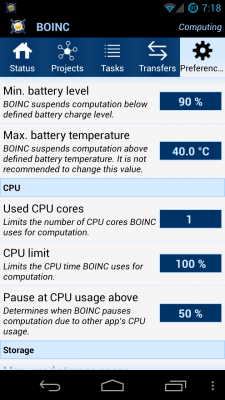 Instead of just CPU and memory activity you can now see which processes are hogging disk or network access. Ever wonder how many threads are currently active, or how many open file handles there are? Probably not, but it’s there for you to view. 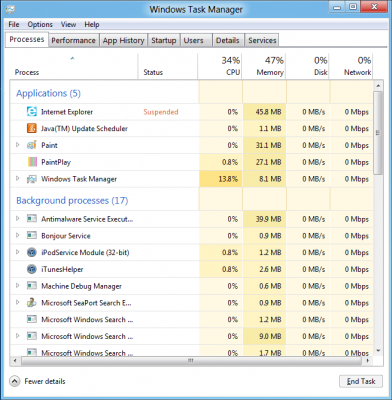 The Task Manager also integrates the useful Startup (previously found in msconfig) and Services (previously services.msc) tabs, making them easier to get to. Windows Explorer has also seen a welcome update with the addition of the ribbon interface found in recent versions of Microsoft Office. Gone are the days of having to dig through a menu just to do something simple like show hidden files and folders, you can now make it available right on the main screen by pinning it to the ribbon. But enough about Windows 8 features in general, how does it work on a tablet? Pretty well, actually. 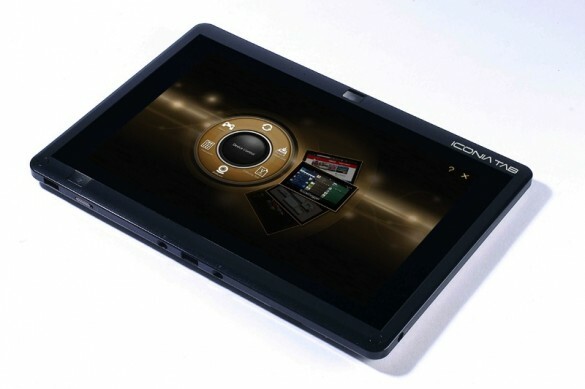 The main tablet interface will be familiar to Windows Phone 7 users as it’s basically an expansion on that. Big friendly buttons make it easy to go where you want to go, and standard touch screen rules apply (for example, to move an icon long press on it and drag). Windows 8 also features a browser optimized for tablet browsing. If you’ve used other mobile browsers it shouldn’t take much getting used to. In normal mode, the whole screen is dedicated to website viewing, with additional options like the URL bar or tabs available at the swipe of a finger. The most useful feature of Windows 8 on a tablet, in my opinion, is the fact that if you end up needing to do something that a traditional tablet can’t handle there’s still a full Windows operating system to fall back on. Sure, it’s just as clunky to use as past versions, but the important thing is that it’s there. For example, it wasn’t too long ago that Android was hurting for a full-featured video player that could handle such things as a wide variety of codecs or subtitles. On a tablet running Windows 8 that’s a non-issue, just install VLC and play whatever you want. Unfortunately, the benefits of a full desktop OS also add something you might not want: weight. To handle an OS like Windows a tablet needs powerful hardware. That desktop processor and solid state drive don’t come light, and the W500 weighs in at around 3.5 pounds, compared to the iPad 2’s 1.3 pounds. If you have something to rest the tablet on it isn’t so bad (or if you’re using a ‘transforming’ tablet like the W500 that can plug into a keyboard attachment), but holding it up can get annoyingly tiring. As previously mentioned, the familiar Windows 7-like portions of Windows 8 still don’t handle a touch interface very well. Right clicking is done by long pressing, icons and menu options are small enough to make them difficult to click with a finger, and convenient keyboard shortcuts are impossible to use. Hopefully the Metro portion of Windows 8 will be up to handling most tasks, because while a Windows desktop is useful as a fallback option trying to use it for more than short period of time is an exercise in frustration. Windows 8 still has a way to go before it’s ready for prime time, but that’s understandable as it’s still early in development. A beta version is expected to be available sometime in February of this year which will hopefully address many of the faults found in the Developer Preview. Windows 8 probably won’t be a necessary upgrade on a desktop or laptop running Windows 7, but as a tablet OS it’s showing plenty of promise. And who knows, with Android being ported to x86 architecture and Windows 8 supporting ARM processors maybe we’ll see tablets dual booting Windows 8 and Android. Special thanks to my dad for letting me borrow the tablet used in this article. Managing files and data on an Android device can be a chore at times. To move files back and forth you have to keep a micro USB cable handy. Not only that, in order to move files to your phone’s SD card it has to first be unmounted from your phone, which can take a while if you’re still using an ancient phone with limited internal memory (like me) and have tons of applications installed to the SD card. AirDroid not only makes it easy to manage your files, but also do other managerial tasks on your phone, all wirelessly! Setting up AirDroid is pretty painless. After connecting your Android device to the same wireless network as your computer, just open AirDroid on your phone. Hit the “Start” button (if it doesn’t start automatically) and type the displayed IP address into your favorite web browser on your computer. Then just enter the four digit password. You’re in! 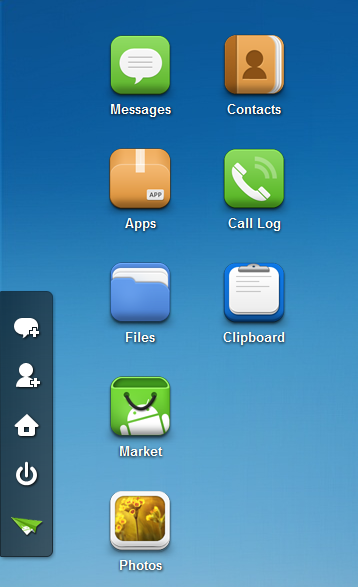 Everything on the main AirDroid ‘desktop’ is pretty self-explanatory. From here you can browse text messages (and send new ones), uninstall apps from your phone, install new apps if you have the APK file handy on your computer, share clipboard contents between your computer and phone, and much more. One of my favorite uses for AirDroid is to move files to and from my phone. File transfers are a bit slower over wireless than over USB, but if I’m feeling extra lazy the convenience of AirDroid wins out. Even better, through the magic of VNC I can start AirDroid, connect to my computer through a VNC client (I use android-vnc-viewer), connect from there back to my phone, and transfer files without ever physically needing to touch my computer. Theoretically you could take it a step further and set up a VPN to transfer files from your home computer even when you’re out of the house, but that isn’t something I’ve personally tried. AirDroid might not completely revolutionize the Android experience, but it certainly makes managing your phone more convenient. Best of all, it’s free! AirDroid can be downloaded free of charge from the Android Market. My mission is simple: Fly over the enemy’s fortifications and snap some reconnaissance photos. Resistance should be light, and I’m one of a three-man flight group. Fly there, fly back, land in time for breakfast. Easy, right? As my Spad XIII lifts off from the makeshift runway, Earth’s features slowly blending together beneath me as I gain altitude, I relish in the flight. This is where I was meant to be. Kilometers above firm ground, the wind loud in my ears. Explosions fill the air as we pass over enemy territory. It looks like their AA gunners have spotted us. I veer left and right, hoping to create a more difficult target. As we pass the enemy’s main encampment I dip my wings slightly, pull out my camera, and snap a few quick photos. My work here is done. We turn towards home, our mission a success. Off to my left I notice a small speck, and I roll towards it for a closer look. The form of an enemy zeppelin slowly emerges from what was, just a few seconds ago, an amorphous blob of nothingness. I look over at one of my wingmen and I can tell he’s thinking the same thing – we’ve already accomplished what we set out to do, but why not go for a little extra? I follow him in his dive towards the zeppelin, firing in short bursts as he pulls out of his strafing run. Success! The zeppelin ignites as I pull out of my dive, and I can’t help but grin as adrenaline pumps hard in my veins. My grin fades as I feel a sharp pain in my chest. Dazed I look down and see blood trickling out of several bullet wounds. Looking behind me I finally see the enemy bandit that managed to sneak up on me while I was preoccupied with the zeppelin. My arms slump and my plane stalls, entering a nosedive that can only end one way. Spiraling helplessly towards the ground only one thought fills my slowly fading mind: I should have left that stupid zeppelin alone. So ended the career of Gerard Girard (hey, the computer picked the name, not me), Italian nobleman and World War I fighter pilot. 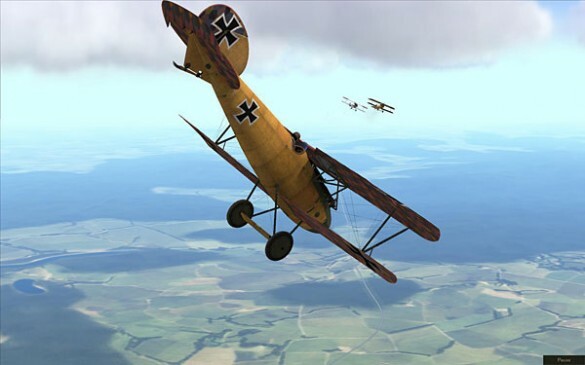 The story above was an actual mission I flew in the career mode of the combat flight simulator Rise of Flight. Flight simulators attempt to replicate the physics of flying as closely as possible. Things like weather, air flow, the aircraft’s engine performance, and even the buildup of ice on the wings or rotor are continuously monitored and simulated. Flight sims have tremendous learning curves, but the payoff is oh-so-rewarding. Because of their complexity, flight simulators can be intimidating. Just watch this video for a ‘quick and dirty’ startup for the Ka-50 Black Shark. Sure, you don’t have to manually flip all those switches yourself if you don’t want to (there’s a simple key combination that does it all automatically for you), but there’s no feeling quite like starting it up by yourself for the first time without a checklist. You feel like you’ve actually accomplished something worthwhile. It’s a skill that has no applicability to real life (unless you somehow manage to get kidnapped by Russians, taken to a Russian airfield, and need to make quick escape), but the feeling is there all the same. Through a series of articles I’ll attempt to ease you into the complexities of flight simulators. First up is a preflight checklist of sorts. I’ll go over everything you need before venturing into the wonderful world of simulated aviation. The first thing you’ll want to consider before getting into flight simulators is your computer’s hardware. Most recently released flight simulators require a reasonably powerful computer unless you want to play them on the lowest graphical settings. I’d recommend at least a dual core processor (Core 2 Duo for example), 2GB of RAM (more is better), and an Nvidia 8800 GT/ATI 4850. You can probably squeak by with less if necessary, but by doing so you’ll have to seriously sacrifice graphical quality. If your computer isn’t up to snuff, don’t worry! Along with the latest and greatest flight simulators I’ll also be recommending some older sims that run fine on almost any hardware. Next up you’ll want to get your hands on a decent joystick. Most flight simulators are technically playable with just a keyboard and mouse, but at that point why even bother? If you don’t mind spending a bit of extra money, go ahead and get Saitek’s X52 HOTAS (hands on throttle and stick). 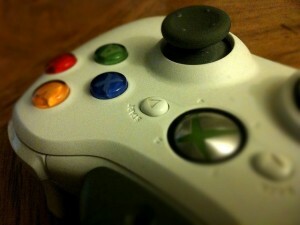 It’s generally considered to be the de facto mid-range joystick. 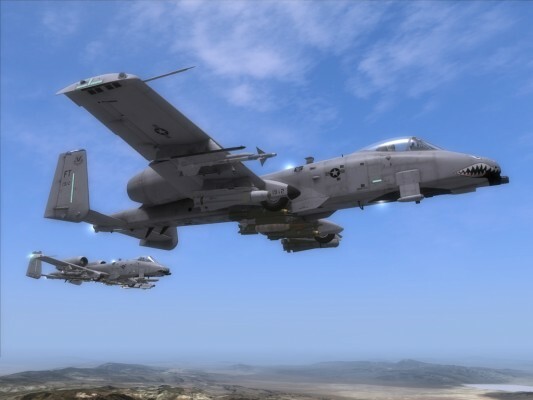 If money isn’t an issue at all you can go crazy and get yourself something like Thrustmaster’s A-10C Warthog replica HOTAS. A twist axis. If you opt not to get rudder pedals (more on those later), a joystick’s twist axis is generally used for the pedals’ functions. A throttle lever. Throttle control can be relegated to the keyboard if necessary, but the importance of the fine control provided by even a simple throttle lever cannot be understated. A hat switch. Some people like to use the numeric pad on the keyboard to look around in-game while others prefer the hat switch on a joystick. If you aren’t yet sure which camp you fall into, you might as well get a joystick with a hat switch just in case. Lastly we come to any additional peripherals you might want to pick up to enhance your experience. None of them are by any means necessary, but if you have the cash to spend they can certainly make your simming life easier. Rudder pedals are much less awkward to use than the twist axis on a joystick. TrackIR, while expensive, completely changes the way you play sims by using head tracking software to map your real life head movements to in-game head movements. 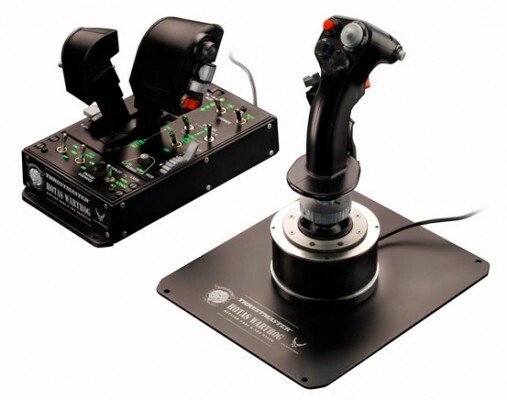 Saitek also makes a wide range of additional peripherals for you to play with. Once you start playing around in simulators you will invariably have questions. Sims are complex beasts by nature, and some things would be near impossible to figure out on your own. Thankfully the simming community is welcoming to newbies and generally happy to answer your questions. Most games have forums set up by their publishers, or you could check out FlightSim.com or SimHQ. Both websites publish excellent simulator-related articles, and both have forums set up for game discussion. That covers all the basics you’ll need to start flying (in the virtual world, at least)! Keep an eye out for part 2 of my Introduction to Flight Simulators series, in which I’ll be discussing various non-combat flight simulators that are available. Temperatures are slowly creeping towards sub-zero. Radio stations and malls everywhere are switching on the holiday music. Pine trees and other decorations are going up all over the world. And once again millions of people are procrastinating on their holiday shopping. Lucky for you, gamers are an easy bunch to buy gifts for. Skip the throngs of mad shoppers and harried store clerks and order everything online! While buying the games themselves may be simple, deciding which ones specifically can be a bit trickier. To help you out, I’ve compiled a list of recently released, universally acclaimed games which almost anyone should be able to find some joy in. Dragons. A word that evokes images of majestic, fearsome, flying creatures. And in Skyrim you get to stab them in the face. Skyrim is the fifth installment in the incredibly popular Elder Scrolls series. 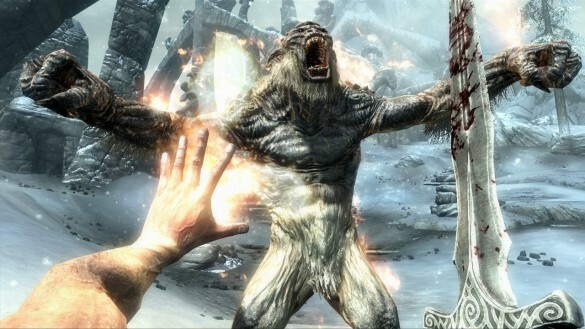 The Elder Scrolls games are all about freedom, and Skyrim proves to be no exception. Once past the relatively brief introductory quest you’re free to roam the province of Skyrim’s roughly 16 square miles of digital land mass. Exploration is encouraged, with dungeons littering the landscape and NPCs just aching to hand out quests. It’s pretty much expected that on your way to finish one quest your journal will fill up with five new ones. Five years have passed since the release of the last game in the Elder Scrolls series, Oblivion, and it shows. Skyrim is packed with tons of little details that will continue to surprise you. Not to mention it looks gorgeous. With high-end hardware and a bit of tweaking you can capture some pretty amazing looking screenshots, but even on default settings with middling hardware you’ll often catch yourself staring in awe at Skyrim’s beautiful landscapes. Skyrim is without a doubt one of the best games released this year, and pretty much anyone will be able to find dozens of hours of entertainment within its wintry borders. Note: While the PC is probably the premiere platform to own Skyrim on, it is also available for the Xbox 360 and Playstation 3. If your giftee’s PC isn’t powerful enough to play Skyrim, or if you aren’t sure, it’s still certainly worth playing on either of the other two platforms. Like last year’s Gran Turismo 5, Forza Motorsport 4 attempts to bring the expensive and dangerous sport of car racing into your living room in as realistic a fashion as possible, and for the most part it succeeds. 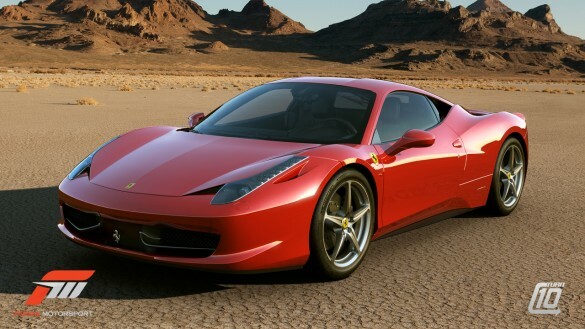 Similar to its predecessors, most of your time in Forza 4 will be spent in its extensive career mode, traveling the globe, winning races, and building up your impressive stable of cars. Forza 4 boasts an impressive roster of more than 500 fully modeled cars, so you’ll have your hands full trying to collect them all. If you happen to own the Kinect add-on you’ll see some integration with that as well. Ditch the controller completely and steer with just your hands (I’m guessing it’s just as uncomfortable as it sounds), or use it to augment your existing experience and let it translate your head movements while still using traditional controls. Forza 4 also features an in-depth paint job editor. Now you can finally own that My Little Pony themed Lamborghini Gallardo you’ve always wanted! Drake’s Deception has you once again stepping into the shoes of Indiana Jon… I mean, Nathan Drake, as he circles the globe searching for some lost treasure or other. Along the way you’ll encounter the usual baddies out to kill you, scale crumbling walls, and generally experience the action and explosions of a standard Michael Bay film. The Uncharted series might be getting a bit formulaic at this point, but that doesn’t make it any less fun. 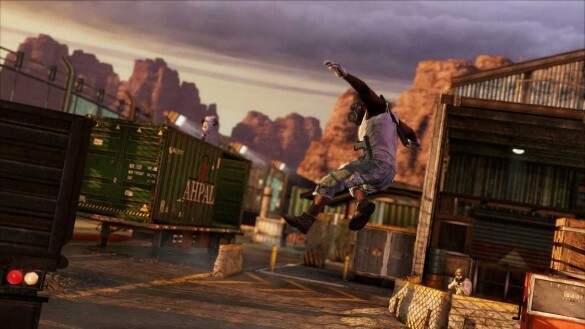 At its core the Uncharted series is a cover-based third person shooter, but there are some other gameplay elements like hand-to-hand combat and stealth sections that help to break up the monotony of shooting people in the face. While I may a joke about Uncharted’s striking similarities to Indiana Jones, there really isn’t anything wrong with that. Drake’s Deception perfectly captures that wonderful Indiana Jones-y feeling of adventure and intrigue. The Legend of Zelda is one the longest running currently active video game series, and holds a special place in many gamer’s hearts. Skyward Sword manages to shake up the traditional Zelda formula a bit, but many people are calling it the best game in the series since Ocarina of Time. The biggest departure from previous Legend of Zelda games is how Skyward Sword controls. It requires the Wii MotionPlus controller add-on, and instead of just wildly flailing your arms to swing Link’s sword like you might have done in Twilight Princess, in Skyward Sword your arm movements are mapped directly to Link’s movements on-screen. 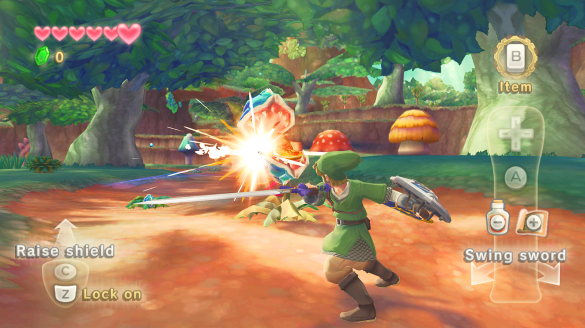 Enemies in Skyward Sword are designed in such a way that you usually have hit them in a certain manner to do damage. With its charming art style and top-notch gameplay, Skyward Sword makes an excellent gift for anyone on your list, regardless of their age. There you have it, four games that any gamer would be happy to find under the Christmas tree. If you have any additional suggestions, feel free to leave them in the comments below! Windows Phone 7 may not have caught on like Microsoft was hoping it would, but it does present some interesting ideas. One of those is its minimalist, tile-based homescreen. Thanks to the wonders of Android, you can now get that same experience on your Android phone with Launcher 7. Windows Phone 7 (and by proxy Launcher 7) eschews the familiar rows and columns of icons used by stock Android and iOS in favor of two columns of tiles. You get less information on the screen at one time, but it certainly looks nice while still remaining usable. Like most Android homescreen replacements, Launcher 7 is dead simple to start using. After installing, just hit the Home button on your phone. You’ll get a list of your installed homescreen replacements, and if you wish you can set a default at this time. If you end up trying out a bunch of homescreen replacements simultaneously, consider installing Home Switcher. 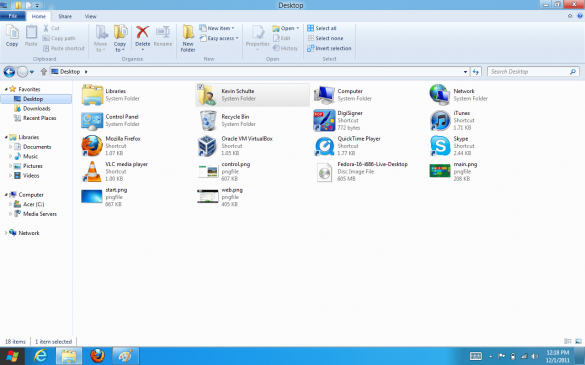 It simplifies the process of launching your various homescreen replacements and changing which one to use by default. Launcher 7 keeps things simple with only two “main” screens. The tiles screen is where you’ll find your most-used applications. 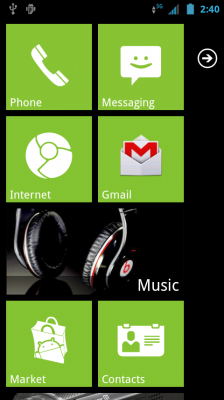 You can also simulate Windows Phone 7’s active tiles by adding standard Android widgets through the Add Special Tile menu option (due to space limitations only 1×1 and 2×1 widgets can be added). 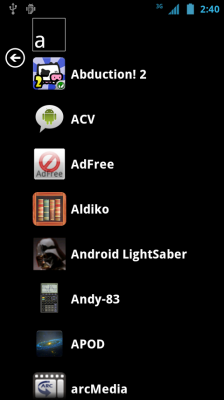 Swiping to the right brings you to a list of all your installed applications. If your list is as extensive as mine you can jump to any other letter by tapping a visible letter on the screen. Turning one of these applications into a tile on your main screen is as simple as dragging it over. If the default color scheme isn’t to your liking it can be modified from the Launcher 7 Settings menu option, along with a host of other customizations. 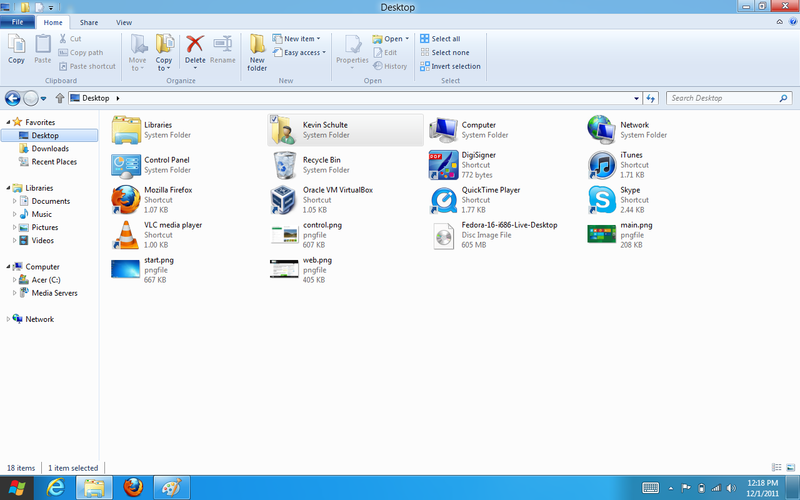 Individual tiles can be modified, rearranged, and deleted by long pressing on them. Launcher 7 is available in the Android market in both a free ad-supported version and an ad-free version for $2. Once you’ve grown tired of Android’s multitude of live wallpapers, or if (God forbid) you’re still rocking whatever default wallpaper your phone came with, it might be time for a change. 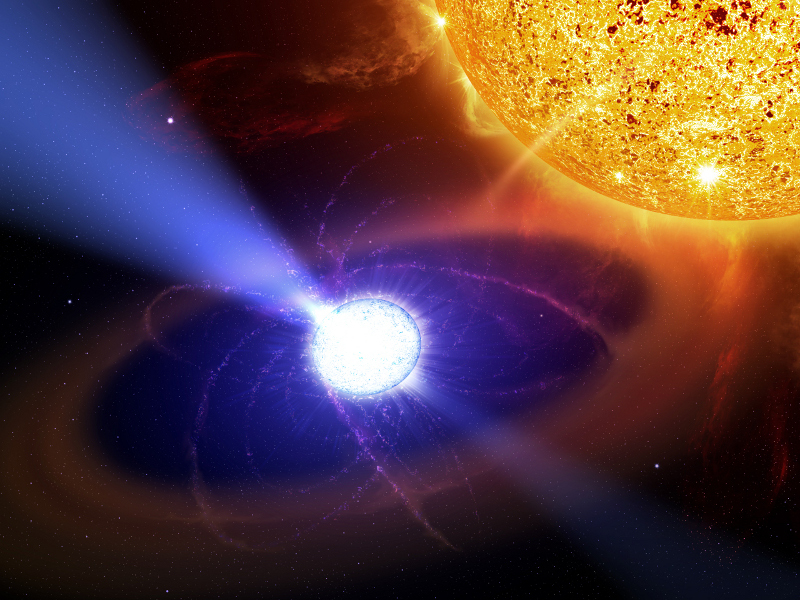 Add some science to your day and keep your wallpaper fresh with Astronomy Picture of the Day. 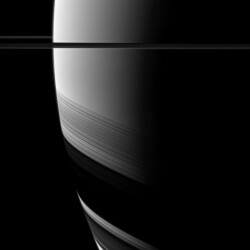 Astronomy Picture of the Day scrapes the NASA webpage of the same name and makes it easy to set the current day’s picture as your wallpaper. 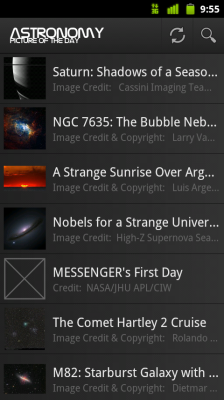 As you would expect from an application used to set your wallpaper, Astronomy Picture of the Day is simple to use. From the main page you can see the current day’s picture, or scroll through a list of previous days’ pictures. Once you find the picture that catches your fancy, just click on it, hit the Menu key, and click Auto Set Wallpaper (note that there are a few other options in this menu as well). On the picture’s page you can also click the little ‘i’ button in the upper right hand corner to learn more about that picture. Astronomy Picture of the Day’s coolest feature is its ability to auto-update your wallpaper every day. From the main page hit Menu, then Preferences. Here you can set the time of day that the application should update, as well as set a few other options. 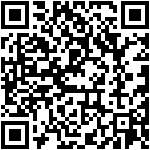 Astronomy Picture of the Day can be downloaded from the Android Market here or by scanning the QR code below. If you really enjoy the application consider donating to the developer, which also removes advertisements from the main application.